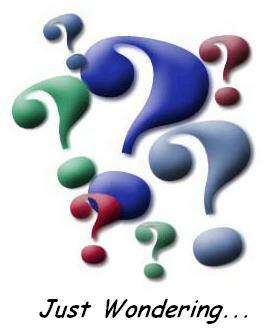 just wondering...: How to begin to make disciples? 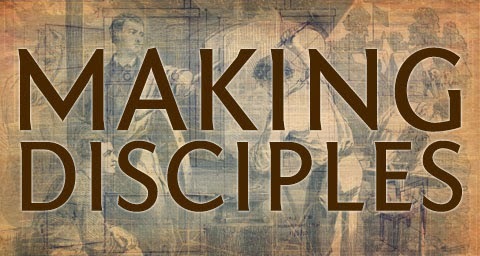 How to begin to make disciples? What is our plan for making disciples of Jesus? and is our plan working? For the past 18 months we have been using the vehicle of a "huddle" to help us in the process of making disciples, here at HBC we call these IPOD's (Intentional Places of Discipleship.) This past week we started some new IPOD evening here are some thoughts I have about the practice of making disciples and training leaders. It’s not that I have it all figured out, of course, and I am basically just doing things I’ve learned from Mike Breen, Paul Maconachie Ben Sternke and others. I know I still have an immense amount to learn, but in the past couple of years several things have settled into place for me. When we hear this, though, another misconception often rears its ugly head: the assumption that the end goal of discipleship is something akin to "becoming a nicer person" or "living morally." In other words, we assume that becoming like Jesus merely means character transformation. Now, I don’t want to diminish in any way our need to put on the character of Christ. Doing so is absolutely foundational to discipleship. However, Jesus himself seemed to equip his disciples not just with his character, but with his competencies. We notice in the Gospels that Jesus wasn’t a bumbling idiot. He knew what he was doing. For example, he was an astonishingly effective communicator, a magnificent leader. He had a phenomenal ability to see what people needed and offer it to them, whether it was forgiveness, rebuke, healing, or simply some time with him. Jesus isn’t just holy, he is intelligent and capable. Jesus isn’t just "good," he is "good at." Jesus isn’t just nice, he’s brilliant. These things are part of the "curriculum" of discipleship. 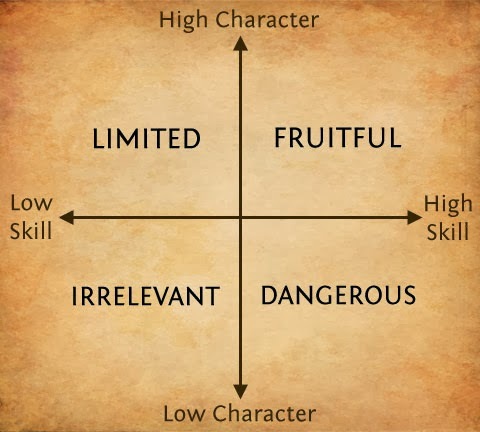 So we could say that disciples are learning to both be like Jesus (character) and do like Jesus (competency). This matrix is a helpful way to think about this. If we equip people in their character and ignore their need for growth in areas of skill, we end up with "good people" who aren’t very good at leading others, and thus we limit our potential for kingdom breakthrough. Discipleship means being equipped in both the character and competency of Jesus. This means we deal with idolatry and sin and integrity, but we also deal with leadership training, communication skills, healing the sick and casting our demons. It’s all important because we want to bear "much fruit," as Jesus wants us to.